Recently a revealing interview with Phil Jagielka suggested that up to 10 players could be leaving Everton during the summer. While this may not overly surprise most Evertonians, it did highlight the impending overhaul at Goodison. We spoke to @LowerGwladysLad, one half of the Everton Fan Focus podcast, about some of those departing players. With Tim Howard already on his way, how do you feel about his prolonged farewell to the club? I’ve never been a big fan of Tim Howard, and I’ve been outspoken with my views towards him over the course of the past couple of years. I firmly believe we should have signed a new, young goalkeeper many years ago and Tim should have stepped aside, however he has now left the Club after ten years and his last few months at Goodison have seen him dropped and replaced by Robles (who I don’t think is a good enough replacement long term). For me Howard’s best years at Everton came a long time ago, under David Moyes, and by prolonging his stay this has only dented his reputation at the Club – think back to the friction between him and some of our fans, it wasn’t nice to see. Tim is a true professional, a real athlete with a great attitude, but in terms of goalkeeping quality I believe Everton should have been looking for better. Now that Tim is leaving I am not going to change my stance on that, but I do wish him all the very best for the future, thank him for his efforts and for being a loyal servant to Everton FC. His send off on the final day of the season was an emotional one, and he deserved that, but now our goalkeeping department needs an overhaul and this summer we now have the chance to sign a top quality goalkeeper. Of the multiple players out of contract in the summer (Hibbert, Osman, Gibson & Pienaar) should they all be let go? Or can a case be made to keep any of them, in some capacity? Hibbert is injured again and I don’t expect to see him on the pitch again for Everton, however I would like to see him retained as part of the coaching set-up. A new manager might see things differently, but I do believe Hibbert and Osman will move into coaching like many of our former players have done (Unsworth and Ferguson are two relevant examples). Osman will probably play on for another year or two but on the pitch I don’t think he has much to offer anymore. He brings experience to the team but I can only see him getting run-outs in the cup if he’s still around next season. Gibson needs to be released, I like him as a player and he could have been a huge asset for Everton but it is never going to work. Rumours of off-field problems, twinned with injury after injury have resulted in Gibson’s Everton career never getting going and it is a real shame. 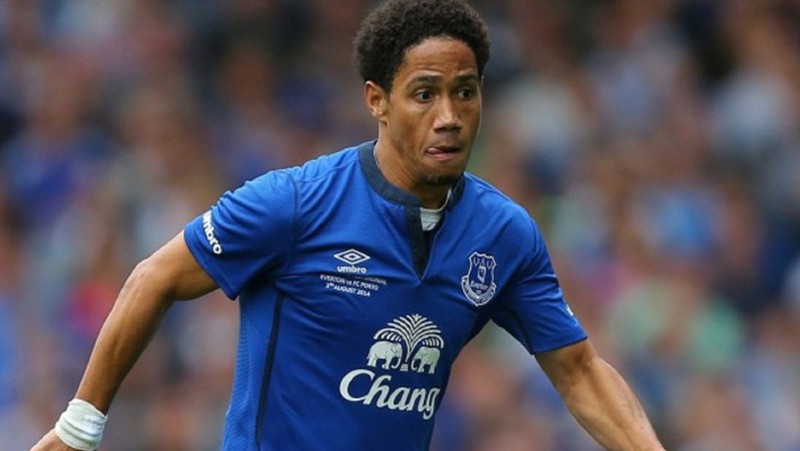 As for Pienaar I can see him being released but it is a sorry end to his time at the club. Pienaar was brilliant in his prime but a succession of injuries have hampered recent seasons at Goodison, it would be great to think he still had a part to play but unfortunately I just can’t see it happening. Definitely one of the best players I’ve seen play for Everton, with real technical ability and an understanding with Leighton Baines which became telepathic, but not getting any younger and like Osman and Hibbert, may find himself going into coaching eventually. 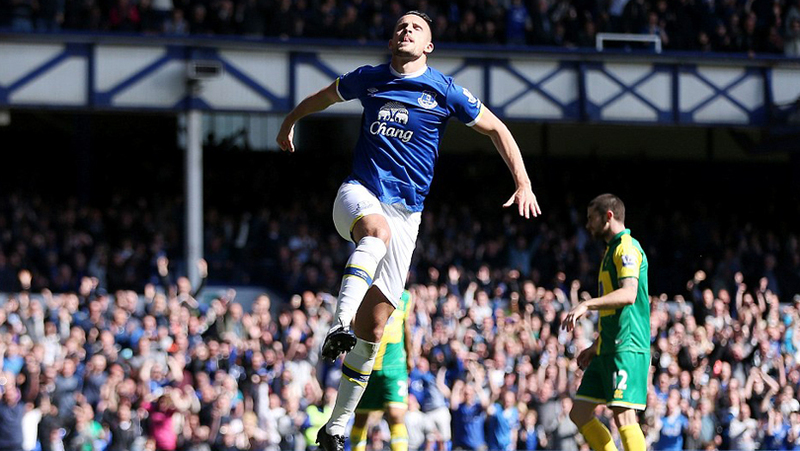 With the erratic form of Kevin Mirallas this season, do you think he has used up all of his goodwill with the fans? Is it time he was moved on or does he deserve another chance with a new manager? I don’t believe he has used up all of his goodwill, maybe with some but not all Blues. Mirallas has the ability and spark to change a game, but because of a lack of game time through suspension and not being picked by Martinez, his career at the Club has stalled. He’s missed out on the Belgium squad for the Euro’s and this is because we haven’t seen enough of him for one reason or another. Kevin can be a world beater on his day, but very inconsistent and lacking effort at times too. He splits opinion, I don’t like his attitude but you need creativity in our side and I’d like to think he’d stay on to have a go under our new manager, whoever that may be. Rumours about the futures of John Stones, Romelu Lukaku and Ross Barkley continue to surface. Where do you stand on the futures of the three young talents? We should be looking to keep all three of these players and I’d question anyone who thinks otherwise. Young, talented, and can only get better. Barkley is going nowhere but the vultures will eventually circle around Stones and Rom, unfortunately I can see the latter leaving, he wants European football and we can’t offer that, but I think Stones will remain at Goodison Park for at least another year. The thing is, with new investment and a new manager, this should work in our favour and improve our chances of keeping these assets and we have to build around them. The three players I am talking about here are the spine of our team and we must fight tooth and nail to keep them, by investing in the squad and showing ambition this can only help that cause. Players like Stones and Barkley don’t come around often – especially being from this country – and Romelu Lukaku guarantees a shed-load of goals every season – what other young striker like him can do that around Europe? Rom has his critics, but look at the statistics, the fact is he has consistently done his job since joining the Club, scored goals and created plenty too, compare him to the strikers we’ve had over the years, Beattie, Stracqualursi, Radzinski, Saha to name a few, are you suggesting we cash in on Lukaku when we’ve had to put up with some bang average players in that department for years? I hope Lukaku stays and although his style does frustrate at times, he gets goals and goals are what we need. Ross Barkley can be a class act, but this needs to be under the right management. His head goes down too easily and he seems to break under pressure, but with a new manager with new ideas Barkley will hopefully get a new lease of life and come back sparkling next season. As for Stones, he has looked back to his usual self during the closing stages of the season. Again he has his critics, but he is such a raw defensive talent who needs to be nurtured and given time to mature into the quality centre half we all know he will become. Football fans tend to be impatient but we need to remember that these three lads are still very young and have been playing in a poor Everton side for two seasons now. Keeping them here is a big task but with the right appointment in place and additions in the required areas, I hope they stay around to be part of the next Everton chapter. Much of the squad has disappointed for the past two years (Kone, Oviedo, McCarthy, etc) how many of these underperformers deserve time to turn it around and who should be shown the door in the summer? Personally I’d release or sell the following – McGeady, Oviedo, Kone, McCarthy, Gibson, Hibbert, Osman, Pienaar and by the looks of it, Oumar Niasse too! I know this would mean our squad would become bare but with money to spend, and many youngsters looking ready for the First Team (Davies, Dowell, Kenny, Pennington), plus Galloway and Garbutt to come back, an overhaul is required and this summer it needs to happen. Tim Howard has departed, as has Steven Naismith, so we need to rebuild and refresh for next season. A new ‘keeper is a must, as is an additional centre half, a potential successor to Gareth Barry in the middle and creativity in the wide areas too. You could probably say every position, apart from full back, needs bolstering within our squad. Only time will tell how serious we are about bouncing back next season and our transfer activity this summer will prove our ambitions. Knowing our luck we’ll start next season with Kone leading the line, McGeady on the wing and Oviedo at right back. 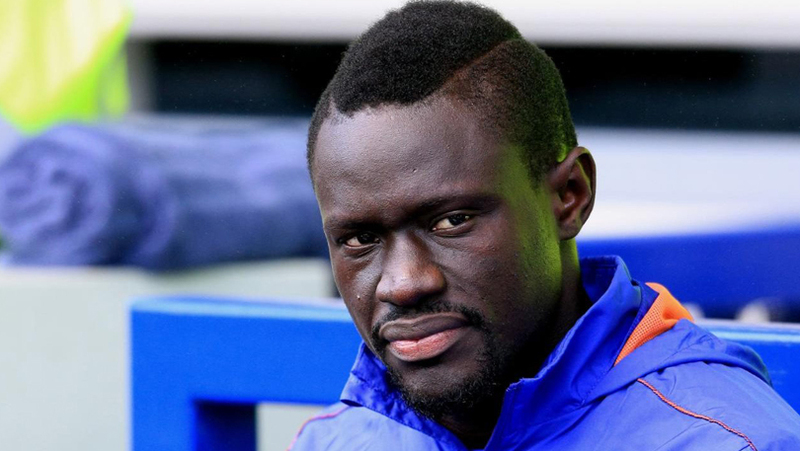 Should Everton look to cut their losses and offload Oumar Niasse in the summer? Or has he shown enough to deserve some more time to prove himself? Yes, as I’ve just said, I’d look to move him on. The lad looks like someone’s cousin who’s at Uni, and has been brought along as a spare to make up the numbers at the Pitz. Blowing out after five minutes, no co-ordination or any signs that he’s worth £1.3 million never mind £13 million. God knows what Martinez was thinking when he signed him. Unfortunately, it looks like a complete waste of money, even though I have only seen glimpses of him, and now he’s been nicked for assault that just caps it. I’d love him to prove me wrong next season and we see the Niasse that we all saw on YouTube when he first arrived (players always look boss on YouTube), but I can’t see that happening. Just hope the Club didn’t sign him as a replacement for Lukaku because we’re fucked if we did. I’m beginning to feel excited about Everton again after a disappointing couple of seasons. We have to move on from the Martinez era and admit he just wasn’t the right fit for our Club. The excitement generated from his maiden season soon vanished following a poor season which saw us finish in the bottom half, and then this season was a continuation of the same as Everton drifted from one bad performance to another, but Martinez wouldn’t budge, he remained stubborn and failed to address his side’s faults and ultimately it has cost him his job. A decent run in Europe last season and two semi-finals this season gave us hope but these can’t be seen as any sort of achievement because once again we didn’t win anything, we just came close. That trend has to change, we need to come out fighting under new management next season and get ourselves back up that table and in the mix for silverware once more. It certainly feels like one chapter has ended and soon enough a new one will begin under a new man at the helm, and it is nice to be linked with some big names as potential successors. Mourinho would shake things up at Everton and the belief would come back at Goodison, however I just can’t see him coming to us. Being realistic I believe Frank De Boer will get the job, but personally I’d like to see Ronald Koeman appointed as the next Everton Manager. Only time will tell who takes charge but for the time being I’m glad we can draw a line under what has been a rough ride for Evertonians, I haven’t felt that low watching us for some time. It’s time to move on, time to make a statement, and see a vibrant Everton emerge from an important summer ahead. All of the above apart from : Mcarthy, Della fella , Kevin. . Stones , Barkley hope to keep . Rom ????? Money big enough yep let him go . We the fans will always be there . COYB.